I am going to write my own long-winded summary because none of the other ones presented on Goodreads seems to lend the actual story any justice. Of course, it is also possible that I've pretty much told the entire story already in the paraphrasing following this needless introductory paragraph. Nonetheless, Coraline is a wonderfully charming children's adventure tale. 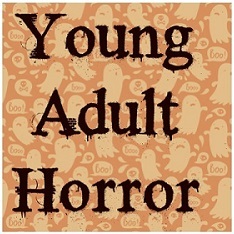 I'd recommend it to anyone, adult or child. While exploring her new home one day, Coraline discovers a locked door in the drawing room that, upon being opened, reveals a brick wall. But after some time, she returns to the door to discover that the brick wall is gone and there is now a dark passage leading to another place--a place where there is another little house where another mother and another father await her with their shiny, creepy black button eyes. It is an interesting adventure, she tells herself, as she explores this other home and meet all her other neighbors, all resembling her real world neighbors, though they all sport the same strange black button eyes. But then the other mother and other father tell her that they want her to stay with them. Forever. They've even prepared a set of her very own shiny black button eyes that they mean to sew onto her real eyes. Not in the least interested in staying with these other parents forever--nor does she want to wear those buttons for eyes--Coraline returns to her own world only to find that her real parents have gone missing. And it must have been her other mother who has taken them in order to lure her back to the other world. Which means that Coraline must return to that other world in order to rescue her parents. It's been a few years since I saw the movie adaptation of Coraline, and couldn't rightly remember what it was actually about, aside from a young girl traveling to another world on an adventure. So I couldn't even really recall much about it outside of the black cat and the creepy button eyes. So that point is moot. Anyway, as I already stated, Coraline is an extremely enjoyable children's book, and while the creepy button eyes were made much creepier with the illustrations in the book, I really found the story to be much more enchanting than scary. 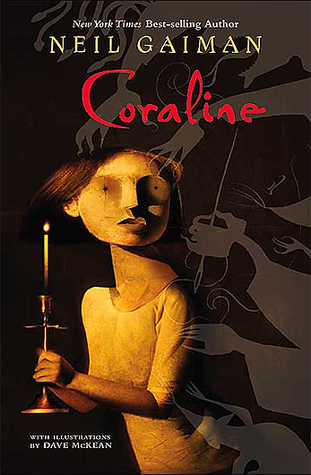 The events are meant to be horrific to a young child, no doubt, but strewn throughout the book are also little gems of wisdom that makes Coraline an excellent read for anyone of any age. As per Neil Gaiman, the writing is solid, and the imaginative creation of the "other house," the "other parents," and the "other world" is top-notch. If it's one thing I love about Gaiman, it's his ability to weave a wonderful story based on an amazingly built world, even for a short children's chapter book. One of the things I've found with previous Gaiman books I've read had always been in the fault of the execution of how the story progresses--for the most part, I've always found the storytelling a tad bit boring with a lot of drag. Coraline is fairly straight forward, but I still couldn't help but note a little drag towards the ending of the story as Coraline plays her game against the "other mother" to rescue her parents. But other than that, I've really got no other complaints about this book. Wonderfully enchanting, I can see Coraline becoming a timeless classic children's tale of adventure about a young girl's bravery, her definition of love, and what life is supposed to be like, growing up and knowing how to be bored every once and a while.